Nate Dawson wrestles with a difficult decision. As the Voss family lawyer, he would love to prove that Matthew Voss didn’t leave his grieving family destitute. But that would mean working with Annie Fuller, a woman who alternatively attracts and infuriates him as she shatters every notion he ever had of proper ladylike behavior. 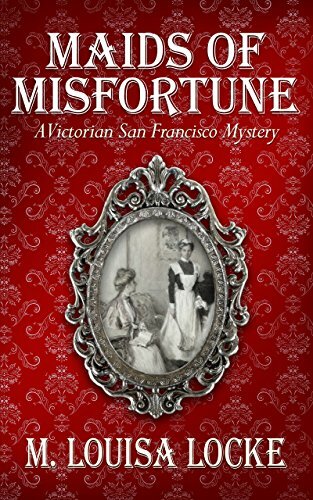 Click here to pick up your free copy of Maids of Misfortune in the Amazon Kindle store. It’s 1885 in Austin, Texas, and a string of grisly murders has put the entire country on edge. Eight murders have happened within city limits, each in eerily similar circumstances, and the police are no closer to catching the culprit than when they started. Austin needs a hero to put an end to this brutal reign of terror, and fast. Enter bounty hunter Frank Vito. Brought in by the marshal to help solve the Servant Girl Murders, as the papers are now calling them, Frank is damned and determined to put a stop to these killings…especially when they hit just a little too close to home. But as always, Vito makes enemies along the way, including, perhaps, his daring partner Ellie Stockwell. With the killer hot on his trail and set on making Vito pay, it’s only a matter of time before this investigation comes to a violent, bloody end. 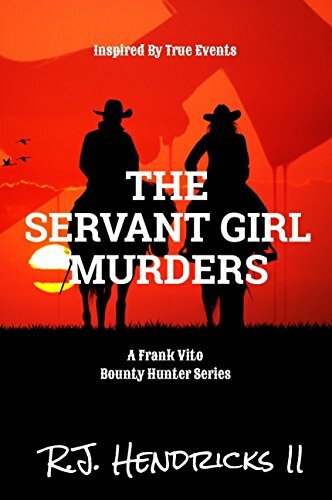 Click here to pick up your free copy of The Servant Girl Murders in the Amazon Kindle store. 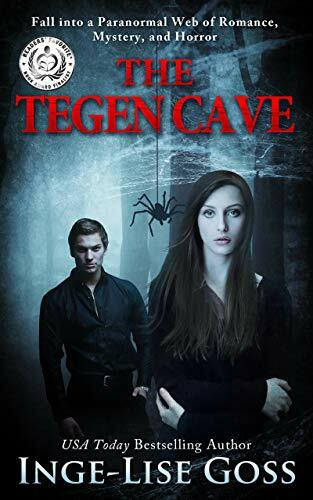 Click here to pick up your free copy of The Tegen Cave in the Amazon Kindle store. Life as a backdrop has its rewards. Miss Brianna Silverton not only prefers life in the background—she depends on it. It makes it far easier to decide upon a proper husband for her younger sister, plus, it keeps her rooted as the spinster she is determined to be. She has secrets to hide, and she isn’t about to let another man touch her—never again. He knew it the very moment he saw her. A constant wanderer, the Earl of Luhaunt,Sebastian Rallager, never paused in one place for long. Not until the moment he saw Brianna across a crowded ballroom floor. Instinct had never failed Sebastian, and he knew it instantly—she was his. Now he just had to convince her of that fact. Fate always finds a way. Just as Sebastian begins to see that staying in one place might be exactly what he had been searching for, secrets of the past loom. Because Brianna is not only hiding herself from the world, she is hiding secrets that cannot see the light of day. Secrets that could destroy her, and the one man determined to love her. 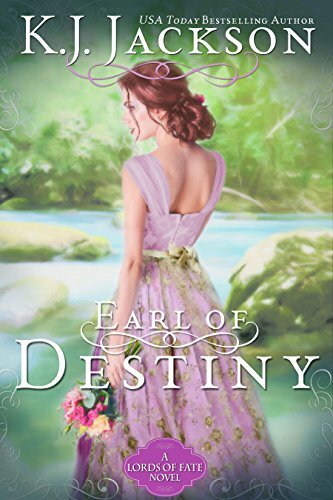 Click here or type in http://geni.us/earlofdestiny into your web browser to pick up your copy of Earl of Destiny in the Amazon Kindle store. He hunts bloodsuckers. She’s got power like he’s never seen. To keep their school safe, he’ll put his life on the line to protect her. High school sophomore Lila Lee is desperate to fit in at her new boarding school. Surrounded by frenemies, it takes bumping into the gorgeous Gabe to turn her fake smiles into crackling chemistry. But when she sees surprise on the laid-back senior’s face, she can’t help but wonder what he’s hiding. Gabe wants fun and freedom and he refuses to let his vampire hunting duties get in the way. After his chance meeting with Lila sparks intense visions, he realizes the pretty sophomore could be even more powerful than he is. As Gabe keeps the new girl in the dark, he’s not the only one who notices Lila’s hidden magic. While Lila tries to climb the popularity ladder and Gabe fulfills his duties, something different lurks in the shadows. Something deadly. Something that could take more than Gabe and Lila’s powers combined to stop it from drenching the school in blood. 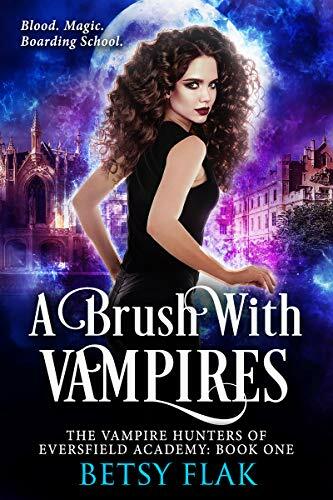 Click here or type in http://geni.us/brushvampires into your web browser to pick up your copy of A Brush with Vampires in the Amazon Kindle store. 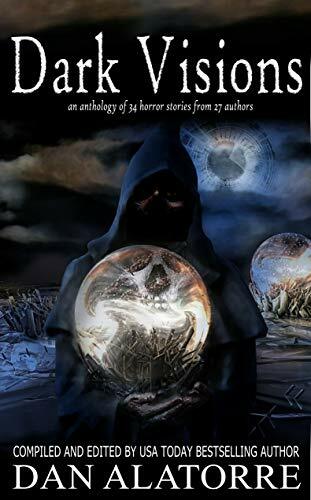 Click here or type in http://geni.us/darkvisions into your web browser to pick up your copy of Dark Visions in the Amazon Kindle store.